Russian virtuoso is no stranger to the Big Apple. 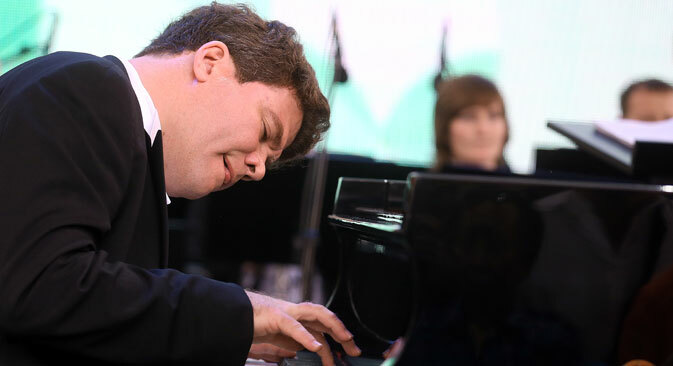 Today, on January 27, Russian virtuoso pianist Denis Matsuev will give his 10th solo recital at Carnegie Hall in New York in the United States according to the TASS Russian news agency. Top 5 performances by pianist Denis Matsuev? Balalike it! Every time Matsuev plays Carnegie Hall, he draws up a new program for the audience, never repeating himself. At today’s concert the musician will perform Tchaikovsky’s The Seasons, Robert Schumann’s Kreisleriana and three fragments from Stravinsky’s Petrushka ballet. “This is one of my favorite programs,” Matsuev says. The pianist says that he has a “warm long-term relationship” with the U.S. “I love American audiences, New York City especially and look forward to our meetings with enthusiasm and impatience,” Matsuev adds. A Carnegie Hall spokesperson stated that it is always a great honor for American audiences to welcome Matsuev. “He is a virtuoso in the grandest Russian tradition of pianism,” the Carnegie Hall website reads. October 26, at Carnegie Hall, New York, USA.